In business, disruptors have existed for centuries. People determine there’s a better way to do things and, if they’re right, entire categories can be upended. Some of the more notable recent examples of this are Uber, AirBnB, and Netflix. It’s rare, however, for an entire industry to be disrupted by a single individual, especially one without innovative technology to drive the change. But that’s exactly what Jessica Yellin is striving to do. Yellin is determined to change the way the news is delivered. Yellin is a seasoned journalist with extensive experience ranging from local to international reporting – culminating in being named CNN’s Chief White House correspondent. Through the years she’s come to believe that there is a tremendous void in news coverage. Specifically, news today is delivered in a style more suitable to a sports network than broadcast journalism. Winners. Losers. Conflict. Aggressiveness. Heated discussion. An endless parade of breaking news. Sensationalism. What was missing was focused news, explanation of terms, opinion free analysis of any potential impact, and a calm, matter-of-fact presentation style. For Jessica Yellin, the ‘news’ landscape had become something which she could not influence, in spite of persistent efforts to do so. 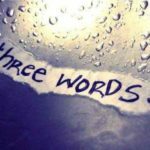 More importantly, ‘news’ as we know it today, had become something that Yellin could not reconcile with her inner-most beliefs. For her there was but one choice. She walked away from a successful, award-winning career – one she had worked long and tirelessly to create. 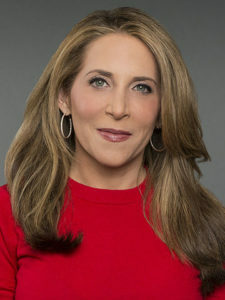 A fictional version of how today’s news might have reported her decision would go something like this: “This just in, Jessica Yellin, CNN’s Chief White House correspondent, quits her job in a huff, expressing frustration that the network refused to write and deliver stories the ‘right’ way – meaning her way”. It’s that type of sensationalized reporting which falls short of Yellin’s journalistic beliefs. There are enough facts for the story to be accurate, yet there’s enough ‘noise’ to create a visceral reaction to consumers of the news. It’s important to note that, for her part, Jessica Yellin is NOT lending credence to the too oft used phrase ‘Fake News’. She knows the integrity, talent, and dedication of the majority of news journalists. Rather, her issue is with the style used to deliver the news – a style driven by profit. Modern news has become one of the largest revenue generators for every network. More eyes watching means higher ratings, which means higher ad prices, which means a larger bottom line. The theory is that most people want their news to be sensational – as much entertainment as journalism. Style over substance. Jessica Yellin knows that approach misses a large portion of the public – those who want the news without the drama. Her belief is that group is comprised, primarily, of females. That’s what she did. Partly reluctant, partly excited, she headed to Bali. After two days she was ready to leave, but something changed. She was able to ease into a different mindset. Jessica became open to new thoughts and challenges. What better time than the present to begin making one of her ambitions a reality? What better place than a tropical paradise? Yellin began to write a novel. In it, she tells the story of a young female journalist. Contemplating her own journalistic journey, she was able to weave just enough reality into the premise to legitimize the story. And what a journey hers had been. One doesn’t simply apply for the job of CNN Chief White House correspondent – it’s a high-profile, highly sought-after position. Jessica Yellin’s journey to that earn that job covered decades. While politics wasn’t in her blood – it did play a significant role in her upbringing. Her father, Ira Yellin, was the personal page to John F. Kennedy at the Democratic National Convention. While not a politician himself, his interest in politics had a strong influence on his daughter. For her part, Jessica found politics interesting, though she never really believed she’d hold office. She studied History at Harvard University – adding Women’s Studies, as she realized how little focus was given to women’s role in history. Graduating Harvard, she became an intern at the Clinton White House. Expecting to be a ‘gofer’, she was greatly surprised when her duties more closely resembled those of a reporter. Yellin came to realize that if politics were a ‘passion’, her purpose was to become a political reporter rather than a politician. With that epiphany, she began the long, arduous path to what she’d identified as her ultimate role – a White House correspondent. She’d moved back to her home – Los Angeles – where she discovered that breaking into news was not easy. Her applications were met with offers ranging from being a admin to being hired only if she was ok dating the station manager (she wasn’t). She got a break when her hairdresser put her in touch with another client who’d just gotten a job in Orlando at a newly created local 24-hour news station. With his referral, she was hired as a reporter. In that job, she was also camera person, editor, copy writer – basically a one person show. Jessica eagerly dove in to her new role where she made countless mistakes, but learned a great deal. Local cable led to local news positions in Florida. Welcoming every opportunity for what it was, she always – always – mentioned that her goal was to cover politics. Her talent, combined with her persistence, led to a situation which no one could plan. In 2000, she was in Tallahassee, covering a race for Florida senate when the state’s presidential election became embroiled in controversy. She spent 35 days covering the story, rubbing elbows with some of the most prestigious network reporters of the day. That led to a position in New York at MSNBC. Her next stop was ABC, doing things like ‘general interest’ (fluff) stories for Good Morning America. Jessica always – always – was vocal about her interest in covering politics. A break came when Kate Snow, ABC’s White House reporter, received a promotion. Jessica was told she’d fill that role for two weeks. Two weeks became a month, became three months, and eventually became her job. Yellin left ABC to join CNN as a Capitol Hill correspondent in 2007. She then became National Political Correspondent and eventually Chief White House correspondent. And now she was in Bali, essentially unemployed, but pursuing new dreams – creating new chapters in her life. Jessica Yellin completed her novel – taking about three years from start to publication. The book, Savage News, made it’s formal debut on April 9, 2019, (but can be purchased here now). The book has already received numerous awards – described as humorous, juicy, timely, and entertaining. As if writing a novel didn’t demand enough time and energy, Yellin has recently launched her own news broadcast called “News Not Noise”. In so doing, she’s taken a very cutting edge approach, both in content and delivery. Gone is all of the glamour and support of an international network, with its producers, writers, camera people – on and on. Yellin’s ‘studio’ now is her living room – or wherever her travels take her. Using her smart phone, she records her stories and delivers them via Instagram – really! Using her own account (check it out here), Yellin addresses the topics of our day, taking the time to separate the news (what’s really important here) from the noise (the ‘drama’ and sizzle intended to attract eyeballs). She then outlines in a straight forward style, the facts, definitions, and the potential impact which we all need to be aware of. No sensationalism – just news. Journalism as it’s meant to be. She doesn’t want her broadcasts to be about Jessica Yellin. It’s her belief that others will join her in the “News Not Noise” movement. A Fearless Brand can teach us a lot! There should be no doubt that Jessica Yellin is what I call a Fearless Brand. She epitomizes the concept. She’s embraced her passion (political journalism), discovered her purpose (delivering news for news sake, rather than eyeball count, and she’s certainly persistent. Authenticity is essential in every fearless brand and Jessica Yellin is as genuine as can be. If it’s news without noise that you’re looking for – Jessica Yellin delivers. Want a “can’t put it down” book for the summer? – Savage News. Lastly, if you want to achieve your goals and enjoy the success you desire, use Jessica Yellin as a template. Embrace your passion. Find your purpose. Be persistent. And certainly, be authentic!